Being a graphic designer means that you don’t just rely heavily on a single tool but on multiple apps and resources to be able to get your projects done. You may need a separate app for the creation of images and a separate one for the editing of these images. Some tools are able to render raster graphics, while there are also those intended for vector images. On this page, we have a list of ten of the best graphic design apps and tools that every designer should be familiar with. You may either be an experienced or an amateur graphic designer, but you may not be fully updated with the best tools available, which is what makes this list very useful for you. So whether you are simply making illustrations or creating logo designs, check out the list of the apps below. Adobe Photoshop Elements is a raster graphics editor developed by Adobe Systems for both Windows and MacOS computers. This software is used to create, edit, arrange and share images to others. It was first introduced alongside Photoshop version 6 back in 2001, as a successor to Adobe Photoshop Limited Edition. Photoshop Elements is considered as an entry-level editor for both beginners and experienced designers, meaning, while it contains most features of the professional version of the software, it has fewer and simpler options to choose from, as well as the number of Photoshop plugins included. The most recent stable version was released October 2016. For designers who just started, this software may be a very good training ground, and can also be a great alternative to both Adobe Lightroom and Bridge when it comes to enhancing and managing images. If you’re a heavy Android user, you may want to check out our list of the best photo editing apps for Android devices. CorelDraw is a graphics editor that specializes in handling vector designs and images, which is developed by Corel for the Microsoft Windows and is designed to allow editing of two-dimensional images such as logos, flyers, brochures, and posters. Though initially released to the public back in January 1989, the most recent version was released on April 11, 2017. In the recent versions, you may be able to create outstanding visuals while also allowing you to fine-tune subtle details on the design with a variety of tools and plugins. 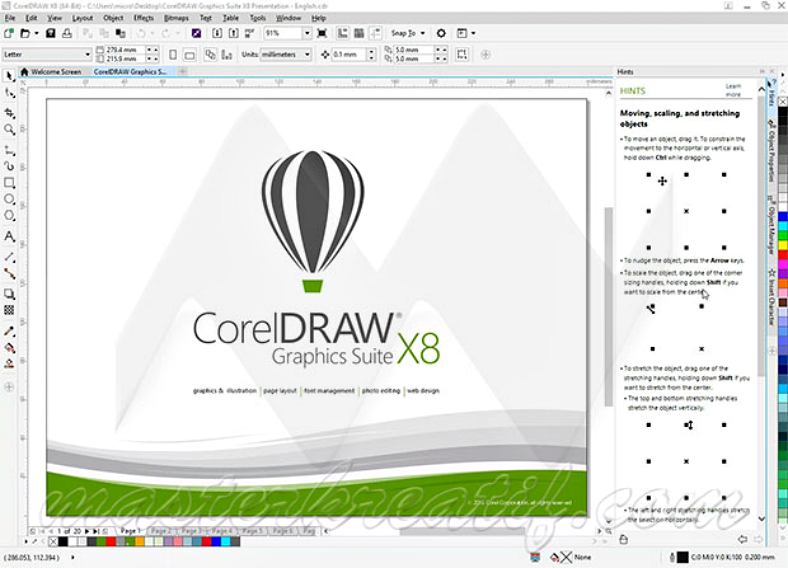 Key features of CorelDraw Graphics Suite includes creating and editing vector illustrations, professional image editing, easy and convenient website designing, customization of workspace, font management, and filtering, and versatile drawing tools. Probably the only negative thing that can be said about CorelDraw Graphics Suite is that it only runs on Windows and there is no version available for the MacOS. 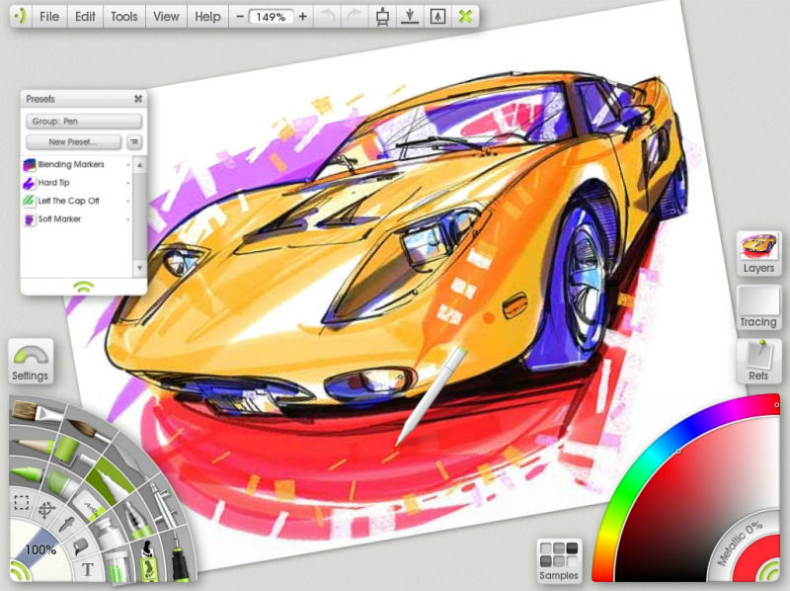 DrawPlus is a 2D vector graphics editor and also an animation software developed by Serif, a UK-based software company. Aside from traditional vector editing tools, Serif DrawPlus provides users with realistic brushes that allow them to apply color with water or oil paint, and other media while still retaining vector editing capabilities. Another awesome feature with DrawPlus is that it is also able to produce both Stop and Keyframe animations, exporting output to Adobe Flash, and compatibility for ActionScript. The first version of DrawPlus was released in 1994, and the latest version—Serif DrawPlus X8—which is also their final, was released on March 23, 2015. For the convenience of designers who rely heavily on pressure-sensitive input devices such as Wacom tablets, DrawPlus offers support with their Pressure Studio allowing designers to calibrate for these devices and create pressure-sensitive lines and brush strokes to create outstanding effects on their projects. According to users, they prefer to use this software not only because it is easy to use, but it also has the tools that they need to create striking logos, poster designs, animations, and much more. Adobe Illustrator is a vector graphics editor by Adobe Systems that was initially released nearly 30 years ago in March 1987 for both Microsoft Windows and macOS. The most recent stable version of this software—Illustrator CC 2017—was released on April 5, 2017. 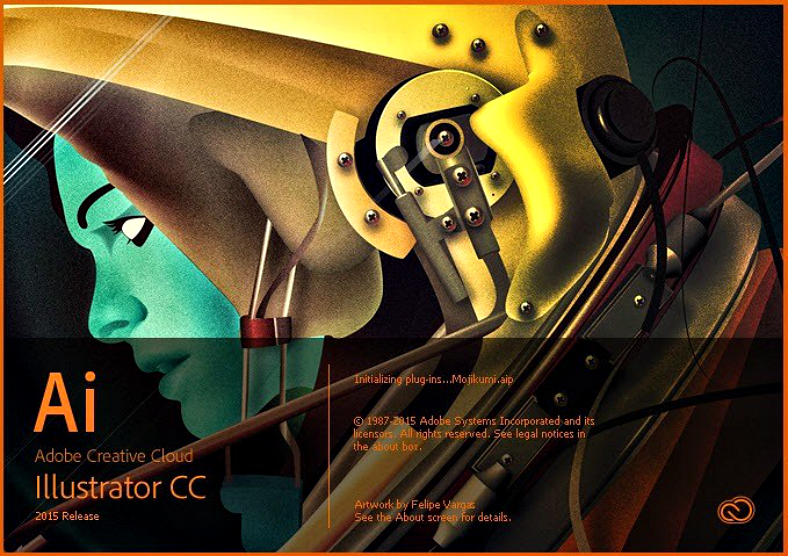 As part of the Creative Cloud (CC) group of software, this version of Illustrator has improvements with regards to color, font, the syncing of program settings, and saving data to the cloud storage, and also the integration with a collaborative network. The update also includes added features such as a touch-compatible type tool, images in brushes, and packaging of files. The advantage of using the latest version of Illustrator is that aside from the many improvements applied, it also works great as a touch-type software, and that the free transform tool has been made easier to execute. So far, Adobe Illustrator has been considered as the best vector graphics editing tool available. So if you’re into vector illustrations, this software may be the perfect one for you. When using CyberLink’s award-winning photo editor apps, PhotoDirector, you don’t need to be a professional photographer or editor to be able to understand how to use this software to enhance the quality of your images. 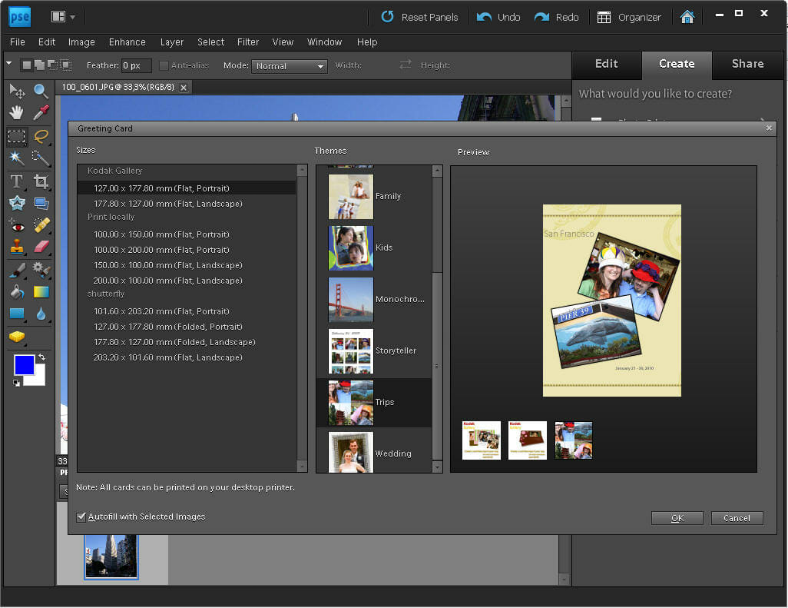 The software’s clean and organized user interface helps you find everything you need to edit your photos. 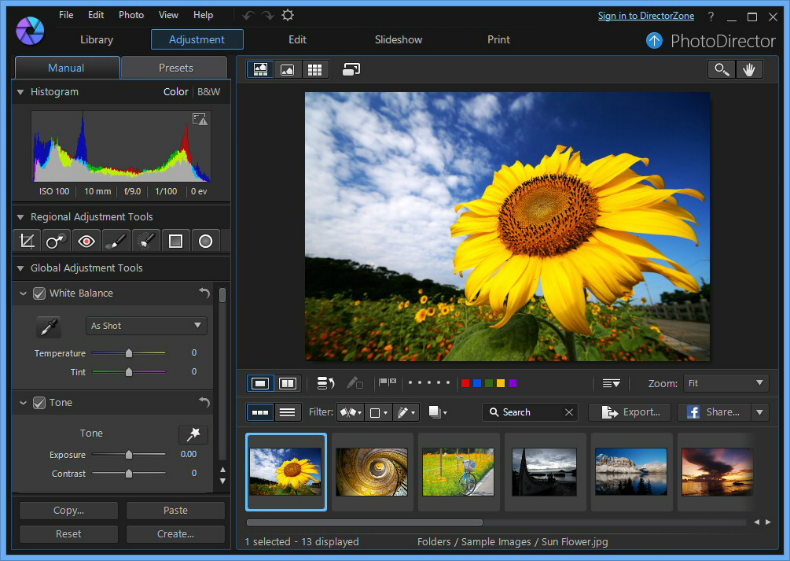 CyberLink PhotoDirector contains a wide range of both basic and advanced editing tools, as well as an organizer feature that enables you to keep all of your images ready when you need to work on them. Though the software provides users with a lot of editing tools to choose from, it does lack a lot of file compatibility. When it comes to photos, the only file formats it supports are RAW, JPEG, PNG, TIFF, and PHI. PhotoDirector is geared toward photography aficionados, with the tools they need to make excellent raw conversions, and with results that are outstanding that there are no other reasons why this tool cannot be used by professionals as well. There is absolutely no doubt as to why this software was awarded as one of the best photo editors, and it is because of its creativity level. 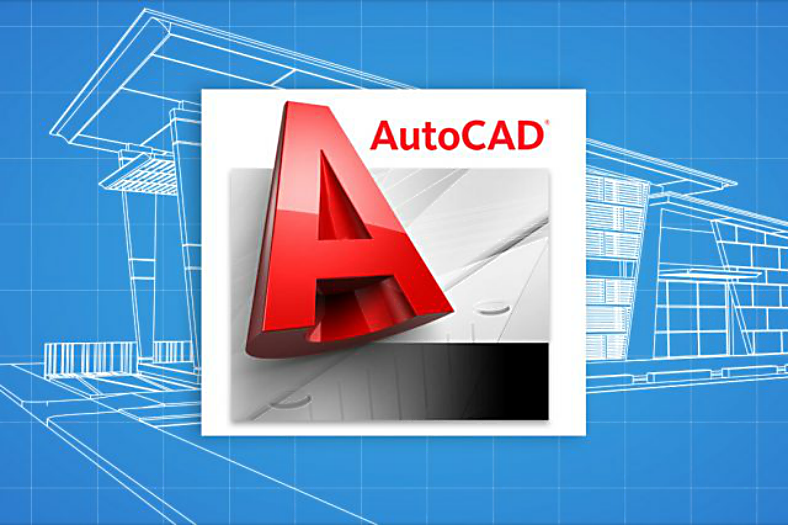 Autodesk’s drafting and computer-aided designing software, AutoCAD, has become one of the most widely recognized tools used by many professionals ranging from graphic designers to engineers to architects. This software is both developed and marketed by Autodesk, and was initially released back in 1982, with the most recent release made available to the public on March 21, 2017, for the Windows and macOS, as well as for iOS and Android mobile devices. Since Autodesk released the most recent version, which marks the 32nd release of their software, users have noticed a change in the file format, which has not been done since the version they released in 2013, and this change provides room on which areas to develop for future releases. Aside from the change in the file format used, improvements have been made with regards to the PDF and text capabilities. The ability to import from PDF files was first introduced in their 2017 released, which was well-accepted by many users, has now been greatly improved and simplified to make it even more convenient. For other CAD tools, you want to check out our list of the ten best CAD programs of 2017. 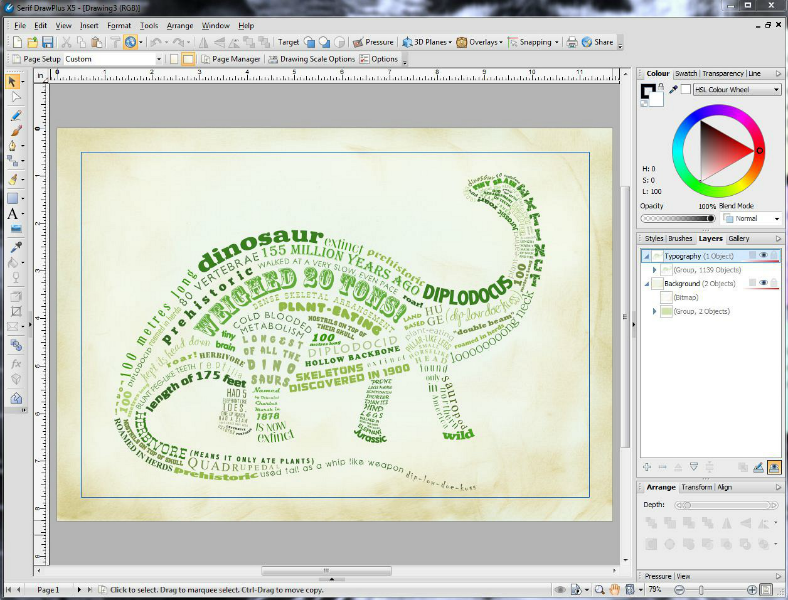 ArtRage is a raster graphics editor that specializes in the creation and editing of images in the BMP or bitmap format. This bitmap editor that is being used as a digital painting tool is developed by Ambient Design Ltd. and was first released in 2004 for Windows and Mac OSX. The latest version of ArtRage—version 5.0.1—was released in February 2017. ArtRage is designed to be able to produce the most realistic-looking images as possible, which is why it allows users to use varying thickness and textures of colors and the canvas, and the ability to mix and blend colors as well as the standard digital RGB blending. As mentioned earlier, this software offers both realistic color blending and standard RGB-based blending options and can be either enabled or disabled easily on the Tools menu. An example with the realistic color blending mode results in mixing the colors blue and yellow to be able to produce green. With the recent version of ArtRage, it now allows digital painters to have their panels float at sides of the window with their Docking mode, which is different from the more traditional layout that has the panels and windows positioned at the sides of the canvas. It also has new brush tools and the custom brush to be able to create different styles that integrate with the canvas and color mixing tools. In the end, loyal ArtRage users may find this version true to its predecessors, but there is still room left for minor improvements. It may not be perfect, but it may be the tool that you need for your digital painting purposes. 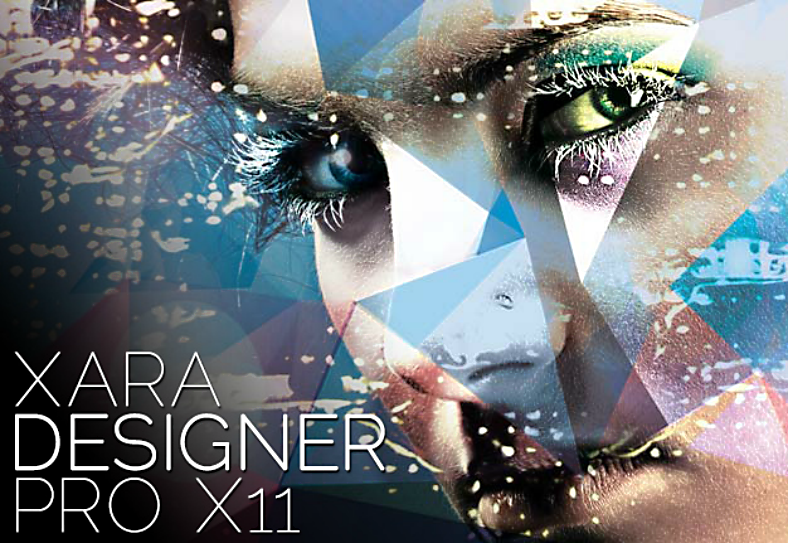 Xara Designer Pro has been considered as one of the world’s fastest graphics software, and that it is packed with a lot of powerful editing and illustration tools for an innovative photo editing experience. For designers who are looking for an app that enables them to illustrate, edit images, and design websites, then Xara Designer Pro may be what they need. With this software, you may be able to enjoy design tools including text handling, page layout, drawing tools, color blending, transparency and feathering, and shadows, bevels, and contours. When editing photos, you may be able to take advantage of its non-destructive photo handling, integrated photo tools, creative filters and effects, intelligent scaling, and other advanced photo manipulation tools. All in all, advantages of using Xara Designer Pro for your designing needs will include being able to do everything you need in one integrated program, the convenience of direct action tools and easy dragging and dropping features, solid and reliable object editing, and most importantly, the ability to accomplish your projects in the shortest time possible. If time efficiency is what you’re after, then check out our list of time-saving tools for graphic designers. 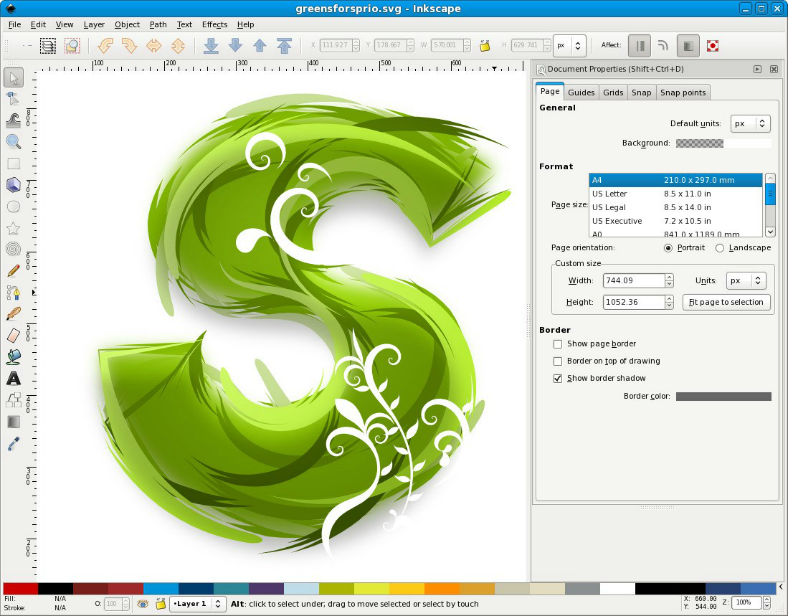 Inkscape is a vector graphics editor that is not only free-to-use but also open-source to allow developers to study and modify the code according to their preferences. This tool can be used to create and edit vector graphics, which include line arts, charts, logo designs, illustrations, and much more. Though Inkscape allows the importing and exporting of files in other formats, their main vector graphics format is the SVG (Scalable Vector Graphics). Inkscape was initially released on November 2, 2003, and the most recent version of the software was released on August 7, 2017, for the Windows, macOS, and Linux operating systems. This software is capable of rendering primitive vector shapes ranging from circles to squares, and also text, and these objects can be filled with either solid colors, patterns, or color gradients. This software has been considered by many graphic designers as a top quality software without the big price tag. Though processing time for the files may take some time to finish, but that flaw can be easily forgotten because of Inkscape’s excellent file format support, their wide selection of vector-editing tools, and the ability to expand via extensions. The GNU Image Manipulation Program, or shortened to GIMP, is also a free and open-source raster graphics editor that is used for free-form image creation, editing, retouching, conversion between different formats, and other basic and advanced tasks. This tool is developed by The GIMP Development Team and was first released in 1996 by developers Spencer Kimball and Peter Mattis. 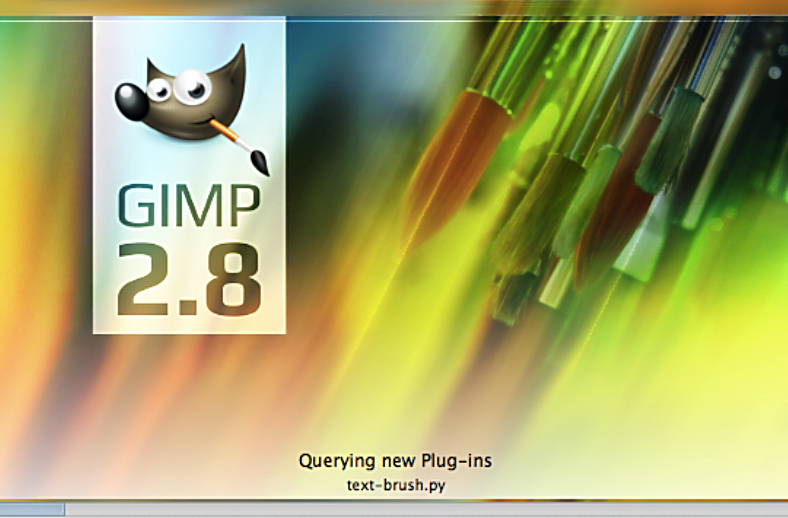 The most recent release of GIMP was made public on August 24, 2017. For many years, GIMP has been the go-to software for Linux years but has had a reputation of being quite hard to use and lacks many useful features found in Photoshop. But with the latest version released, one reviewer has stated that GIMP is no longer the crippled image editor alternative to Adobe Photoshop. For iPad Pro users, also check out our list of the best drawing apps for iPad Pro. Free Printables Designed for Halloween Party!